Aside from the “Steel” edition that hit the market few days ago, one more edition of the Air Jordan 10 Retro is about to hit the market. 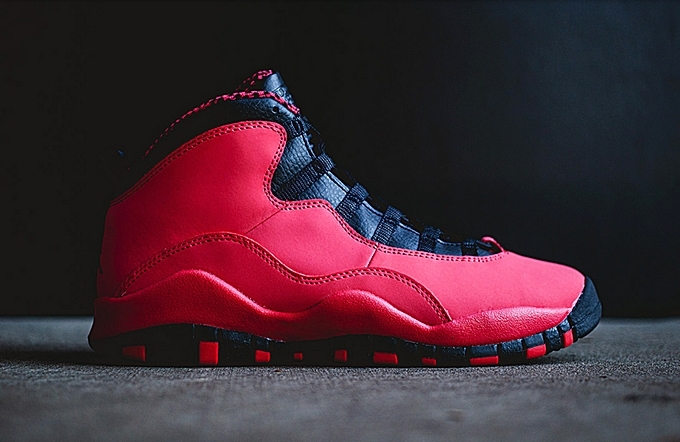 But this time, the retro kick will come out in an edition for girls as Jordan Brand announced the release date of the Air Jordan 10 Retro GS “Fusion Red”. This silhouette, which is officially listed as the Fusion Red/Black-Laser Orange colorway of the shoe, will be released on October 19th in Nike retailers. This upcoming shoe, which will also come out in preschool and toddler sizes, will retail at $120 per pair. Stay tuned for more Air Jordan release date updates here at Jordans Out.